Have your seen the Wildflower Collection by KaiserCraft this month?? In the collection is some beautiful embossed papers perfect for colouring with watercolours inks, what ever takes your fancy. 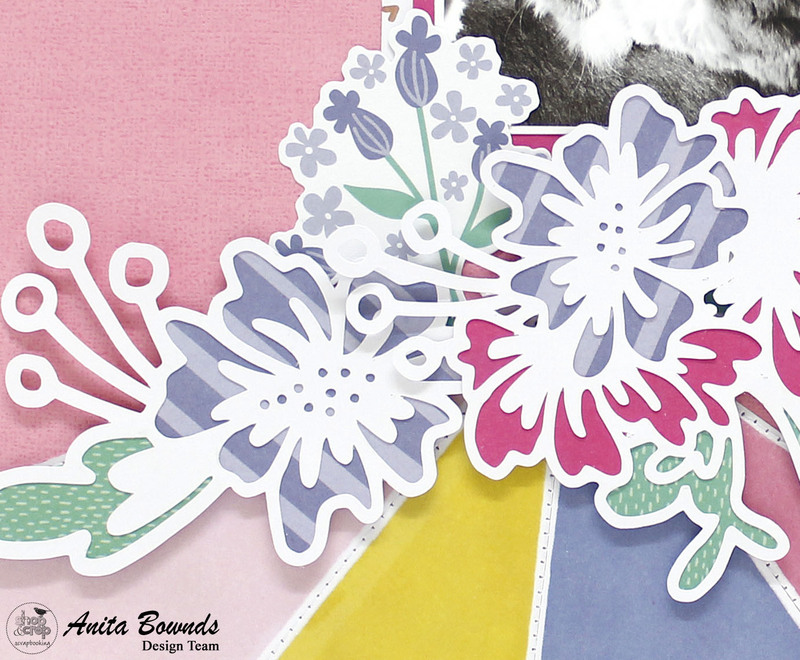 These papers are a heavy weight white card stock with clear embossing of flower designs and tear apart quote cards. I have used these in these two projects. 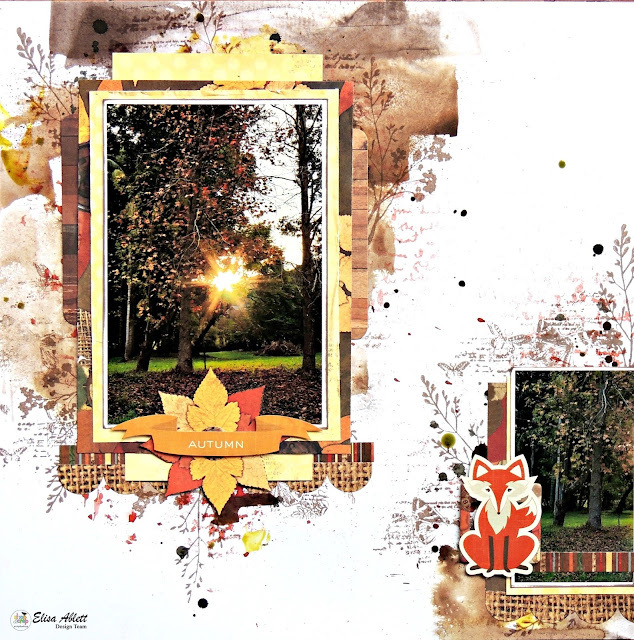 An art journal page and a scrapbook page. I used Lindys Magicals to colour this and create a galaxy feel to the page flicking gold ink around for the stars. 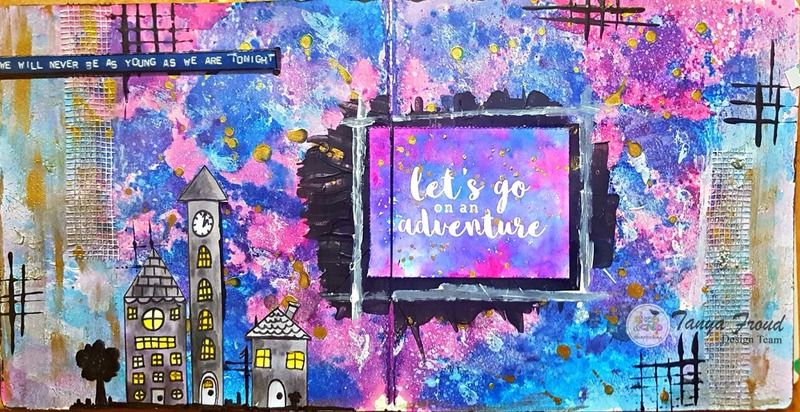 I spritzed my quote card Lets Go on an Adventure with water then dipped my brush neat into the Magicals and let the colours swirl and blend then i dried it and used a baby wipe to wipe over the quote to take the excess ink of the words. With this layout i used Tim Holtz distress inks and blended onto the 12x12 embossed Wildflower Gloss speciality paper using a blending tool to build a soft colour on the background, I have also used the Collectables from this range to embellish and a Card from the quote cards and spray with with Distress ink and dried before wiping the writing with a baby wipe. I hope this projects have inspired you. All the products i have used in these projects are available in store at Shop and Crop, If you use TF5 at check out you will be eligible for a 5% discount! 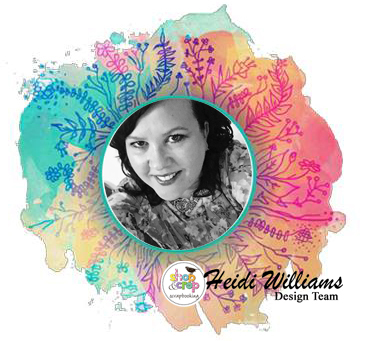 Hi my name is Heidi Williams what inspires me to scrap is all the memories I have to document, my family and close friends. I find it very relaxing and creative . I love to try different techniques and get messy using lots of different mediums,I am always learning everyday. 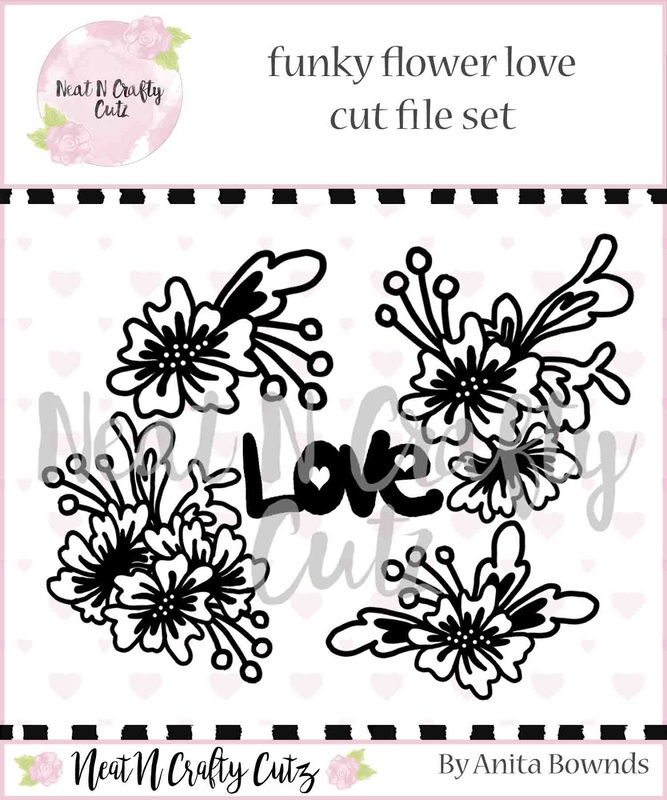 I love the subscription kits as they are great everything is ready to go to create and great value for money . 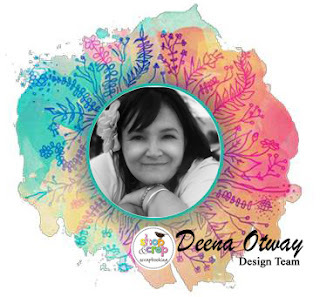 Hello, I’m Dee and I am a lover of all things messy card making, art journaling, creating canvases and scrapbooking. . I am not sure how I would describe my style of creating but as long as it has, texture, layers and colour that’s me. When I am not creating art (which is as often as I can, sleep is overrated), I am a Mum to a girl and boy who keep me on my toes. We live on the South-West coast of Victoria not far from the Great Ocean Road. Lots of things inspire me, which is probably why my art is so varied. A colour, a new technique, photos, a colour, a class, one of my favourite artists, a new medium, the list is endless. Anything mixed media is my favourite type. If I can’t get messy then I don’t really want to do it, although I would love to learn how to crochet. When we built the current home we are living in 6 yrs ago we built an office. It’s not an office any more, sure if you were to take all my art stuff out it would be an office once again but it is my space and it’s not very often that I get visitors coming in. The next house we build (and it will happen) I am going to have a bigger space and a big window with natural light. I do have a window now in front of my bench but because it is at the front of the house at ground level I don’t open the blinds very often. Why do you love getting the subscription kits? Working with a kit gives you lots of different products and somewhere to kick off from. Included are instructions from the design team on how to make a layout but you can always put your own spin to it and use the leftovers to make other projects. Plus it’s always fun to received happy mail. Hope you are starting to enjoy the cooler weather. 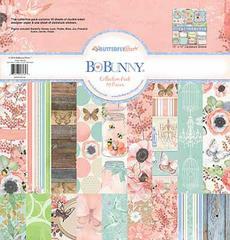 Today i'm going to show you a layout I created with the Bo Bunny Butterfly Kisses Collection. 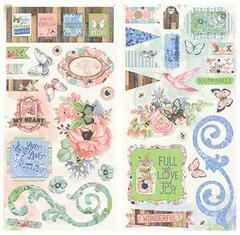 This paper range is very girly or could be used for those romantic photo's. I have included some A2Z Scraplets chipboard on my layout. 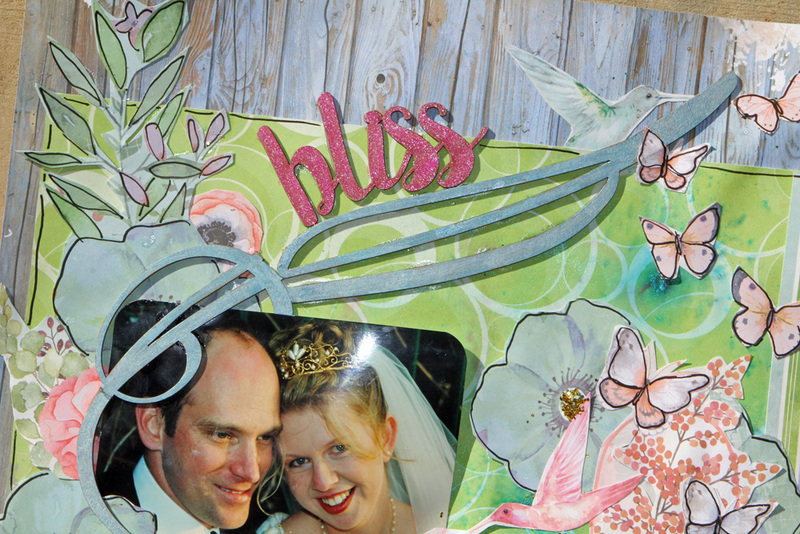 Hi I am Lizzy and I have been scrapbooking since 2006. 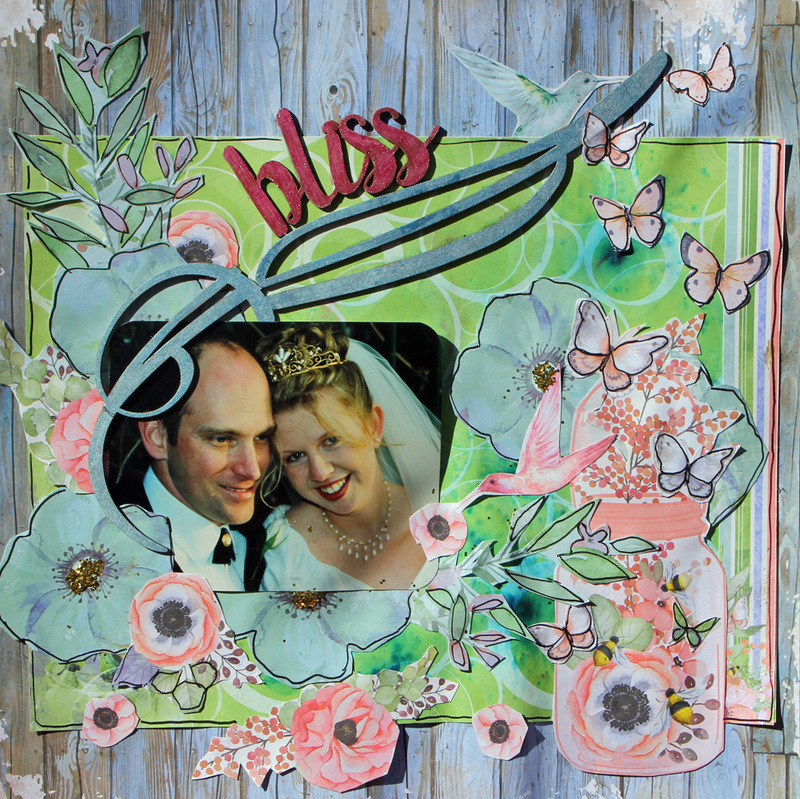 I enjoy creating using layers, mixed media, flowers, chipboard and dies. What began as memory keeping has evolved into the pleasure of using the many techniques and embellishments now available to the scrapbooking artist. 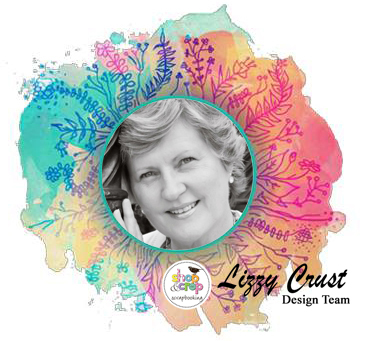 I am Mum to 4 although only the youngest is home now with my Husband and I. I have found great inspiration in joining in with the online world of challenges and blogging and have made many like minded friends to share my creative journey with.. 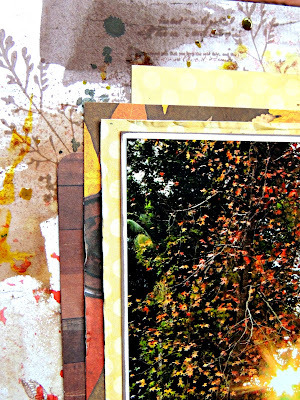 I find inspiration in many places, the photos I take, the papers and embellishments, clothes and patterns I see around my world and of course other talented scrappers. My favorite type of crafting is layouts, putting photos on a page with whatever products I am enjoying using at the time. I was fortunate to end up with a spare room, which quickly became my crafting space. It is quite untidy and to the untrained eye it could look like a big mess, but I know just where most things are... just sometimes I cant remember where I put a certain thing!!! 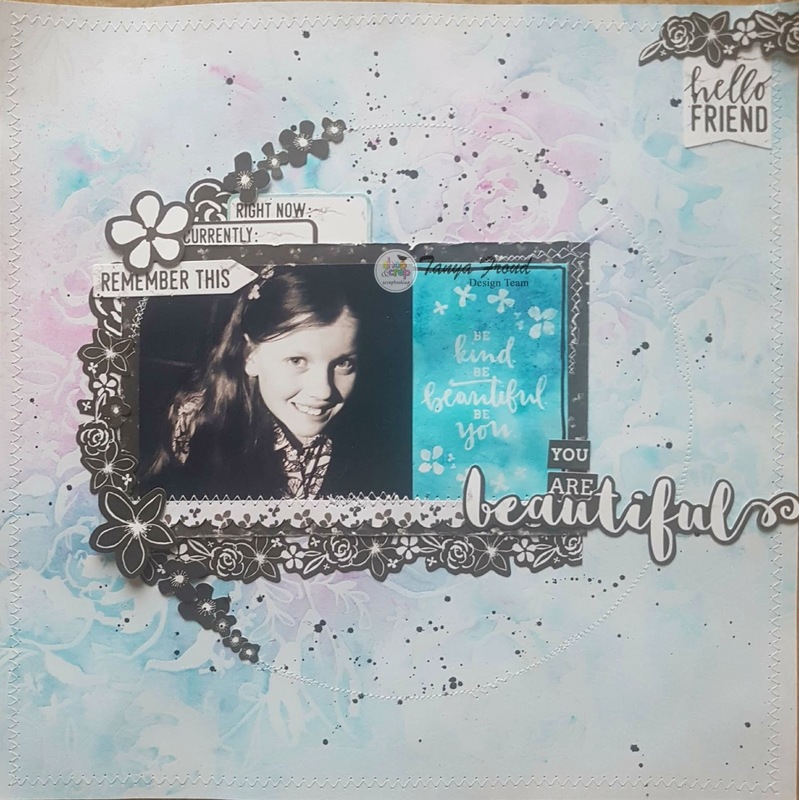 I love the idea of a subscription Kit, all the elements and papers are co-ordinated and all you have to do is sit and create! 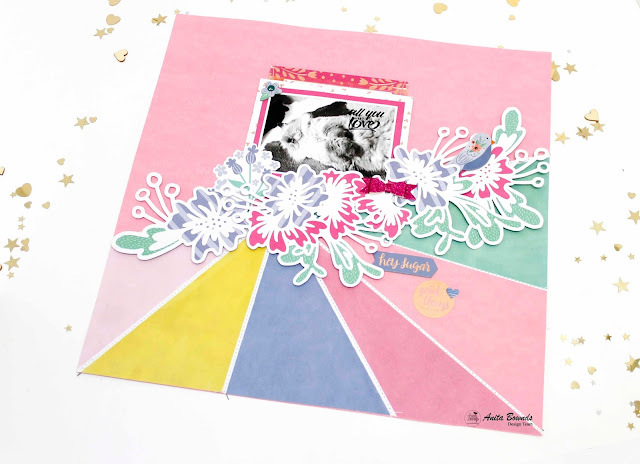 Hello crafty friends, today I am bringing you two very different layouts using the Pinkfresh Studio Oh Joy Collection. This collection can be found instore by clicking here. Lucky I am still to scrap my Christmas 2016 photos, so thought this would be a good way to kickstart it. I often find it difficult to scrap event based photos immediately after the event - I enjoy it much more when I have some space and time to think about what I'd like to do with them. I am still hoping to do a December Daily type album of 2016 but having some select favorite photos for 12x12 layouts is awesome too. 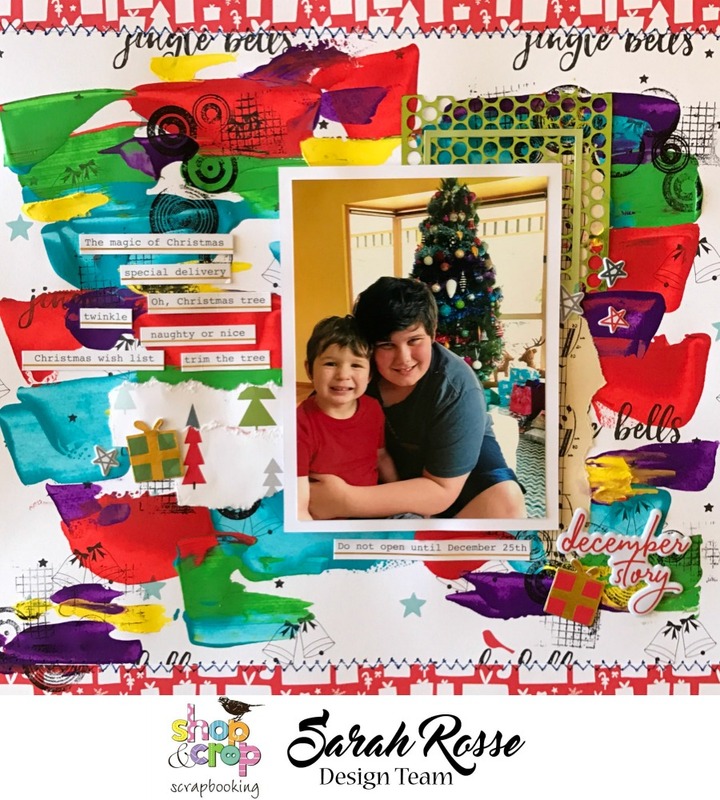 For this "December Story' layout I used the 'Jingle Bells' patterned paper as the base with the 'Joyful Christmas' along the top and bottom edges. I had attempted to sew the edges of the two papers together, however my sewing machine had different ideas. I proceeded to 'sew' it without any cotton and then just drew in the sew lines with a marker. For the background I applied various colours of Dylusions paints using a palette knife. The full range of Dylusions paints can be purchased in store by clicking here. I left this to dry overnight (I tend to be a bit heavy handed on the paint as I just adore the magnificent colours! 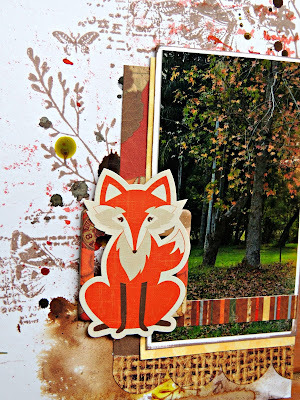 Once dry, I used some mixed media stamps from my stash to stamp on the background in black ink to add some further interest and texture. 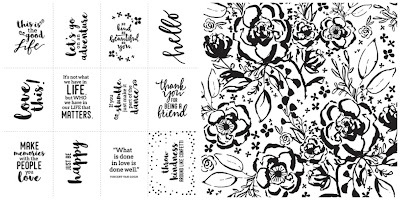 The Shop and Crop online store have a wide range of mixed media stamps and archival black ink that can be seen by clicking here. 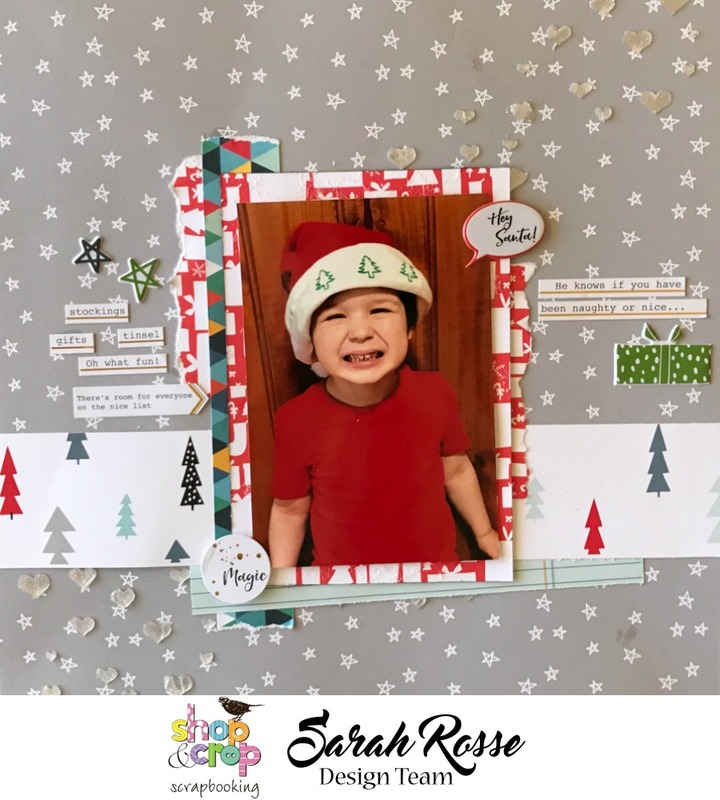 This layout uses the 'Winter Wonderland' patterned paper as the base and the 'Joyful Christmas' to mat the photo and the alternate side of this for the strip across the layout. 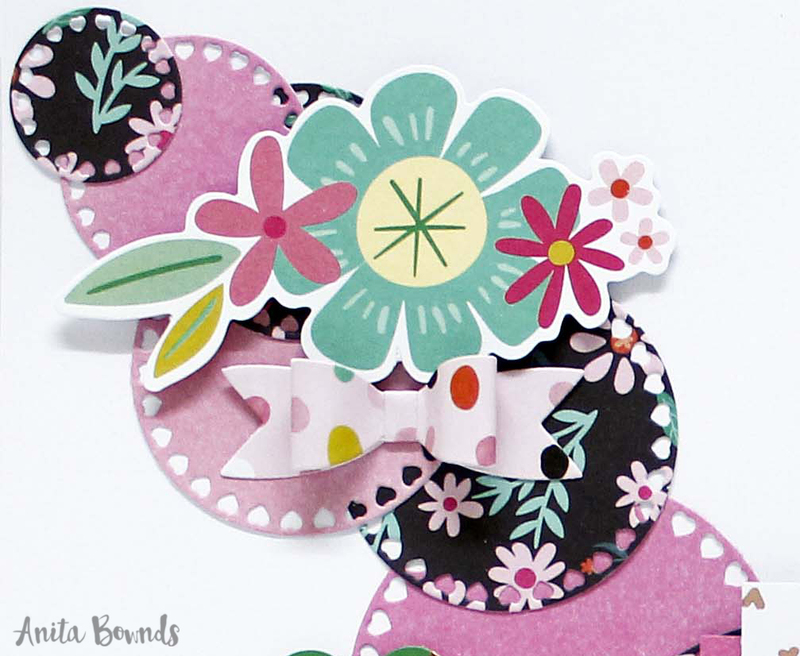 I also used a few scraps of the Crate Paper Cool Kid collection I had left from previous layouts. The colours in this paper picks up the tones in the trees on the 'Joyful Christmas' patterned paper. 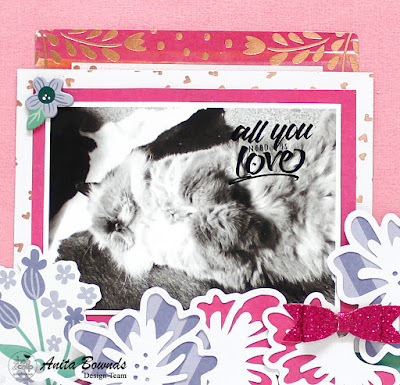 Colour Blast Paste (Snow White) was applied through a heart stencil to create some additional texture on the layout. I love the subtle background look that the Snow White provides, along with the glimmer and shine of those little hearts. The range of Colour Blast products are available online by clicking here. 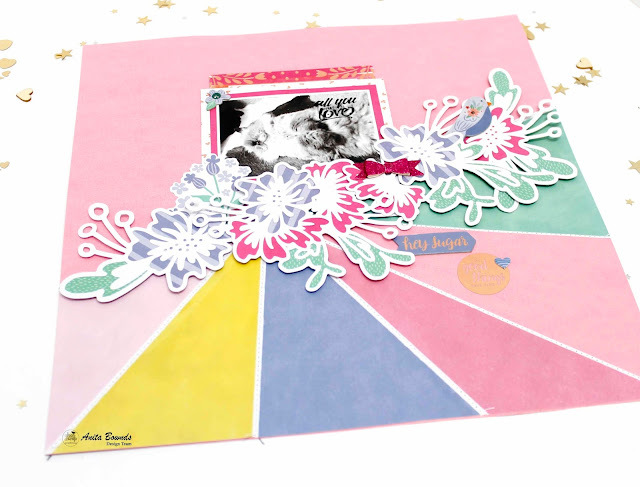 The layout was completed again by using the Pinkfresh Studio Oh Joy sticker sheets and puffy stickers. 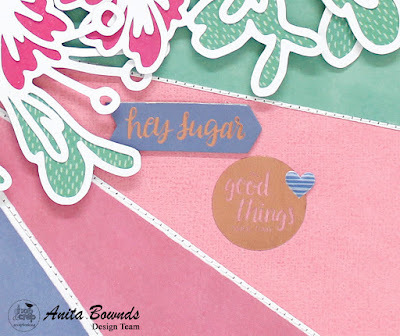 I hope you enjoyed these two layouts and be sure to check out the amazing talented design team layouts and inspiration on the blog. 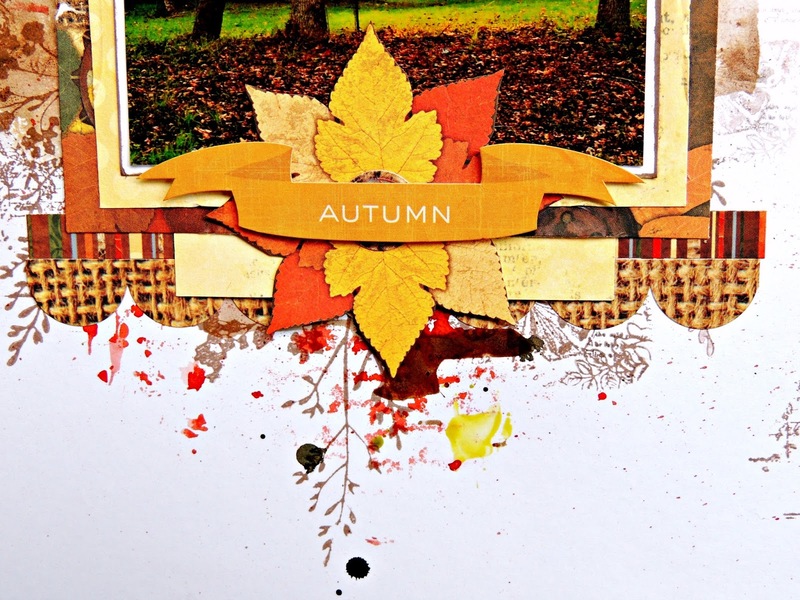 Elisa here from the design team for Shop and Crop Scrapbooking with my latest layout, an Autumn inspired creation using the Bo Bunny Autumn Paper collection and Autumn Element Sticker sheet by Photoplay Paper Company. To start my background I used a combination of Colour Blast colour sprays in Coffee, Mocha and Sunset and a lovely green iRRESTibles spray called Pear Tart. Once dry I used some lovely foliage stamps and a grungy butterfly stamp from Kaisercraft and a sepia versafine inkpad to create some extra depth. 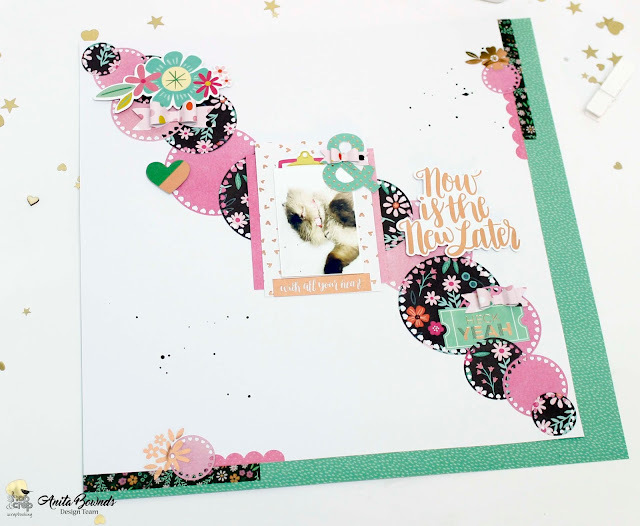 Then layer your papers underneath your photos - I added an extra photo to the bottom right hand corner of your layout along with a few sticker elements. 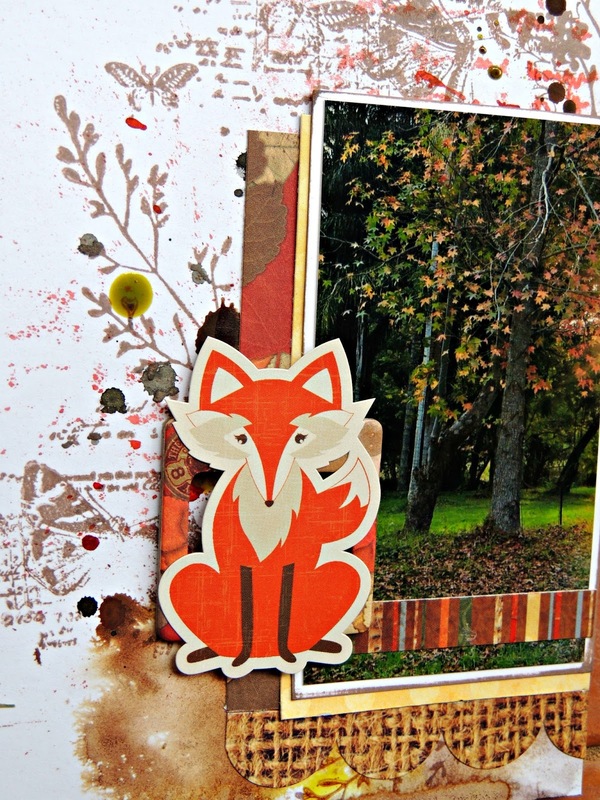 I just loved the cute little fox. Thats it from me today, don't forget if you stop by the Shop and order online, use the code EA5 to get a discount ! Hi! I am beyond excited to be able to share my work with you through the Shop and Crop design team. 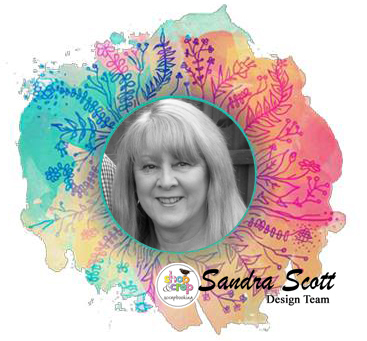 I am an avid paper crafter and card maker, living in rural Victoria . I am also a wife, mother, Japanese teacher, oboist and pianist. On top of this, I am trying to live a self-sufficient and low waste life, producing food for my family from our garden, which makes for very full days! My family consists of my super encouraging husband, three terrific children aged from 14 to 21 and Molly the wonder Collie. 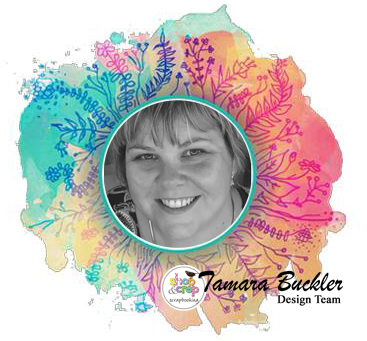 After a long break from paper crafts, I was once again bitten by the crafting bug two years ago when a friend encouraged me to do an online water colour class with her. 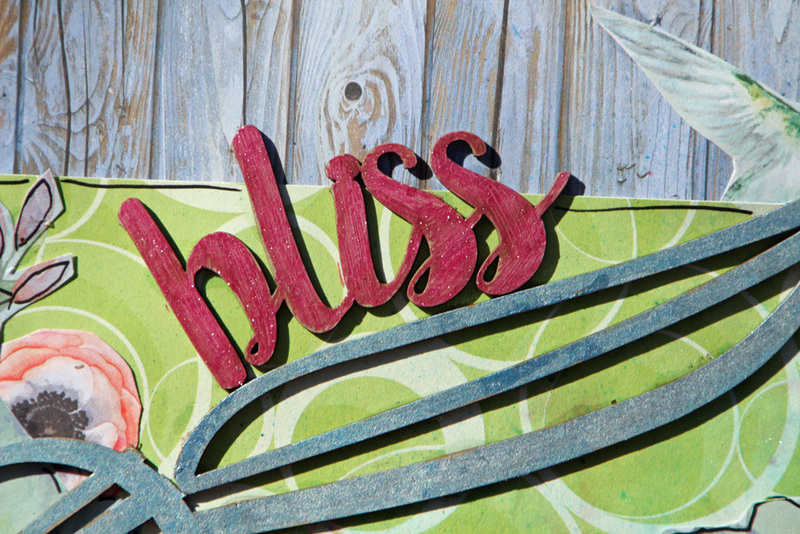 I've been working hard to squeeze craft time into my busy life ever since! I love all things paper, and especially enjoy colouring. My cards tend towards clean and simple (CAS) and I enjoy manipulating and combining stamps as well as using papers and embellishments to create vibrant cards. Now that my daughter has left home to study, I live in an all male household, with lots of sport and action movies, which are not my thing. 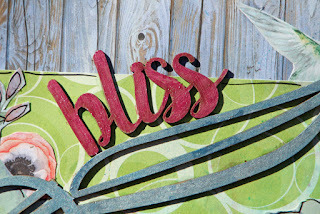 This is when I like to escape to my craft room, known in our family as my happy place! I love working with kits. 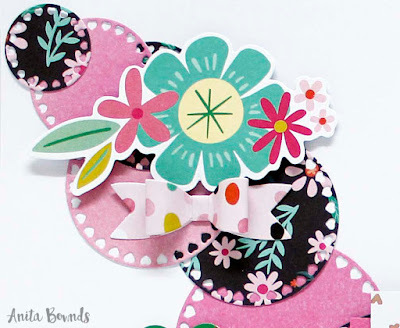 There's a real creative challenge to working with a set number of supplies, which I love, not to mention the benefits of having everything coordinated! The thing that sparks my creativity the most is getting into my happy place and getting messy. I find that each project sparks ideas for the next! My name is Sandra Scott and I’m married to a wonderful man who supports my creative hobby. Between us we have four adult children, six grandchildren and one great grandchild. I’ve been scrapbooking for about nine years but I’ve always had some sort of craft ranging from sewing, decoupage, OTP projects, knitting and attempts at painting. I can’t say I have a distinct style because I really like experimenting and being inspired by others. 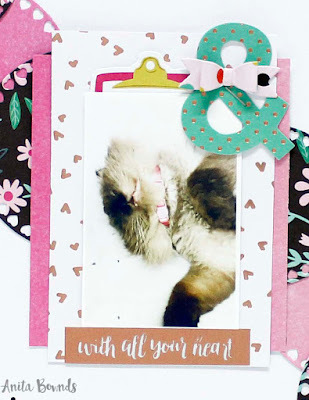 I would say my scrapbooking is quite eclectic because some days I love clean and simple pages and others I love to get grungy or really girly it just depends on the task at hand. I’m inspired by a number of things; a photo, journaling of a memory, my grandchildren, a sketch, other scrapbooking ladies and kits put together by companies. 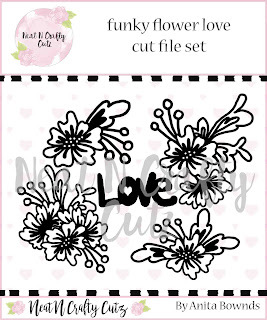 The kits give me a starting point where I can choose the appropriate photo or event and in a kit the papers, embellishments and theme usually match and can be used for different creative projects. I mostly scrap at home but also if we head off in the caravan I love to create at the end of the day, if I can’t get all of my stash out I usually journal and plan a page or Project Life project (this may be in the form of an album, a travellers notebook or memory file). 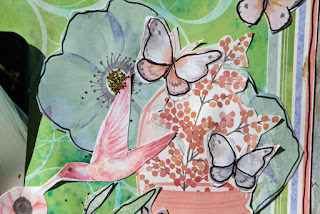 At the moment I love experimenting with some mixed media techniques and using ephemera from paper collections or kits. 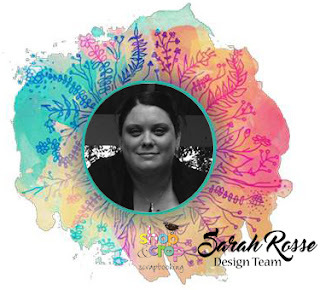 I love that a kit gives you enough product to provide the opportunity to create more than one project and they also give me a starting point where I can choose the appropriate photo or event and the contents of the kit match. Another positive is that you know you're going to get another kit when you subscribe. Last yeah at the end of November my little buddy had a stroke and he went blind and every day since had been a learning experience for him and for him to start feeling like himself again has been one of the most important things that has happened in the last month..
My name is Tamara (but my friends call me Tam) I’m a thirty-something wifey and mumma of two beautiful girls. We live in a small rural village called Ulong, about 35kms west off Coffs Harbour. 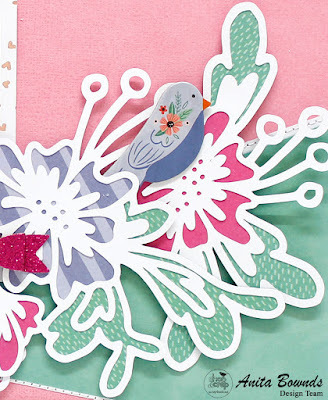 I love anything sweet and crafty and pretty, and spend much of my down time elbow deep in paper, paint and glue! I scrap not so much as a memory keeping exercise, but as a way to satisfy my need to be creative. 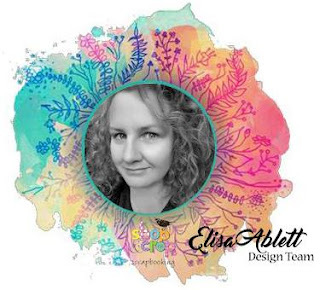 Of course, I scrap about my daughters, our family and our day to day life, but for me its more about combining different colours and patterns, playing with different mediums, and working within a design framework to create a result that is both visually pleasing and creatively satisfying. Because of this I tend to gain a lot of inspiration from the world around us, different home décor trends, magazine layouts or advertisements, mood boards etc. 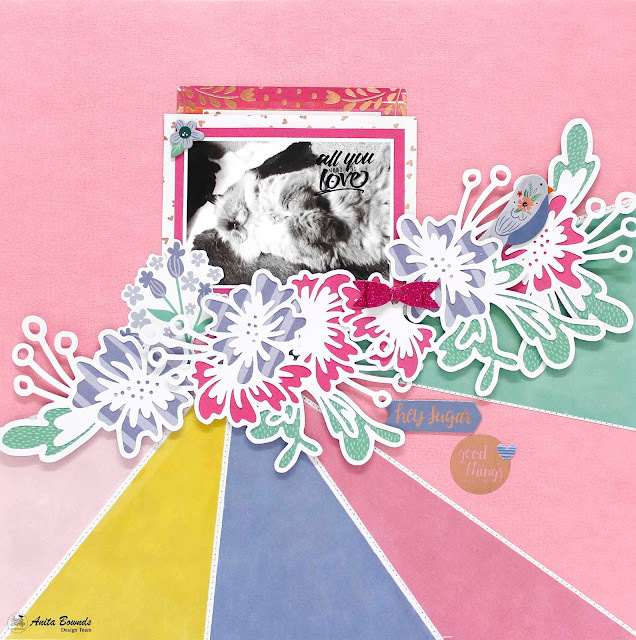 I also love Pinterest, YouTube and the online scrapbooking community for inspiration. 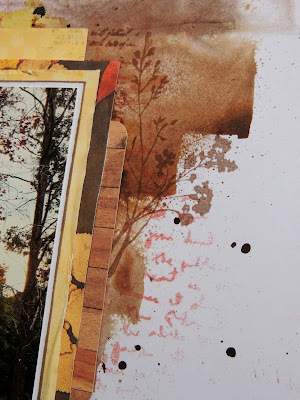 I am primarily a scrapbooking, and like to experiment with mixed media within my layouts. I have always scrapped in a 12x12 format but am finding I am loving 8.5x11 at the moment. I also scrap in an art journal, and am trying my hand at travellers notebooks. I'm an awful mumma, and make my kids share a room so that I can have space to scrap . Lucky for them we are in the process of building a house, so they get their own room, and I got my own purpose built scrap space!! Yay!! 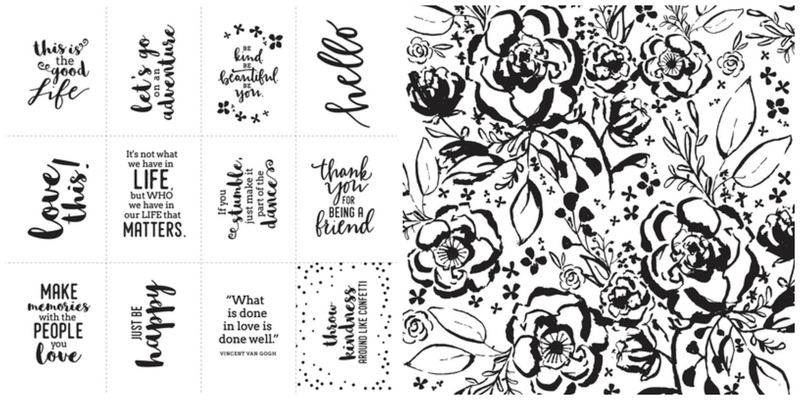 There's so many reasons why I love subscription kits! 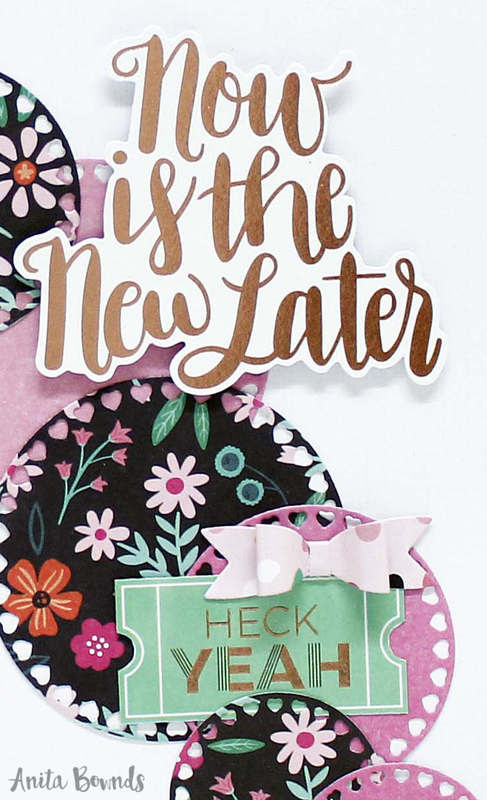 Getting a monthly delivery of scrapbooking goodies, that you've already budgeted for, is always a bonus. Plus you can get your hands on all the new products, which we know in Aus can be a struggle! And, it can be a good way to get inspired, and to sometimes step out of your scrappy comfort zone. Its a win all round really! 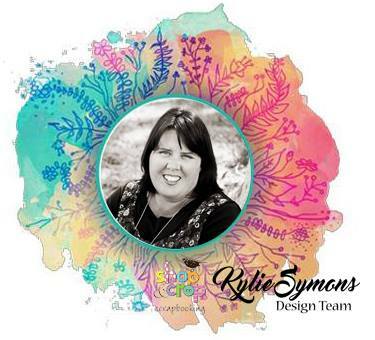 Hi everyone, I am a full time working wife and mum of two boys living in the Gippsland region of Victoria. 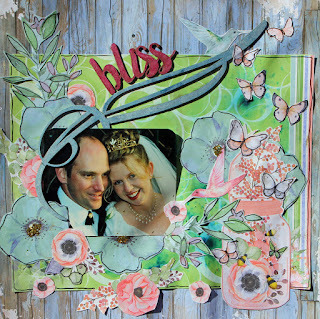 I am an avid scrapbooker, card maker and mixed media creator and as time passes, my obsession continues to grow. 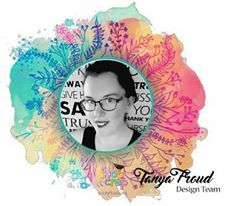 A day doesnt pass where I dont do something 'scrappy' related - whether it be seeking inspiration from YouTube, listening to podcasts, browsing new products online or getting in my craft room to be creative. 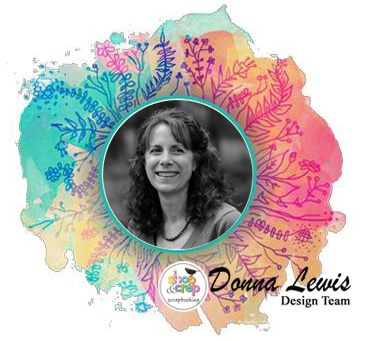 I am on a number of other design teams - D-lish Scraps, Helmar Creative Team and Jess Crafts Digitals for which I am so grateful. 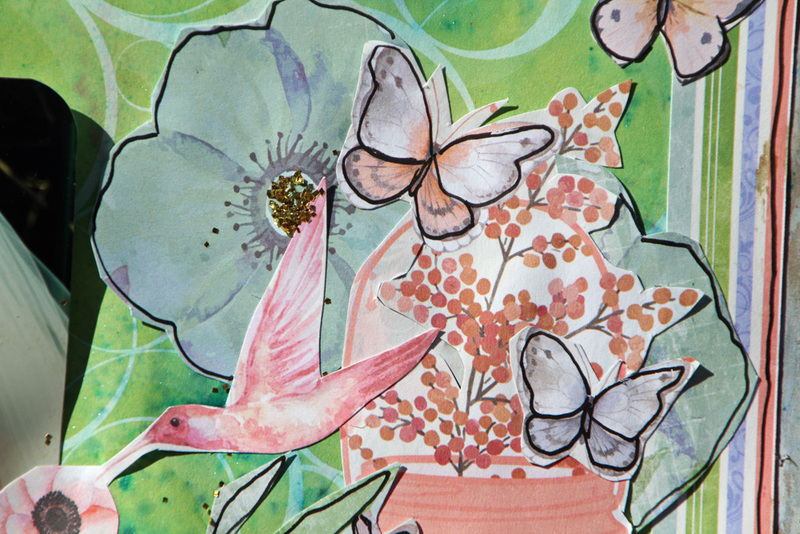 I enjoy mixed media and all things messy! 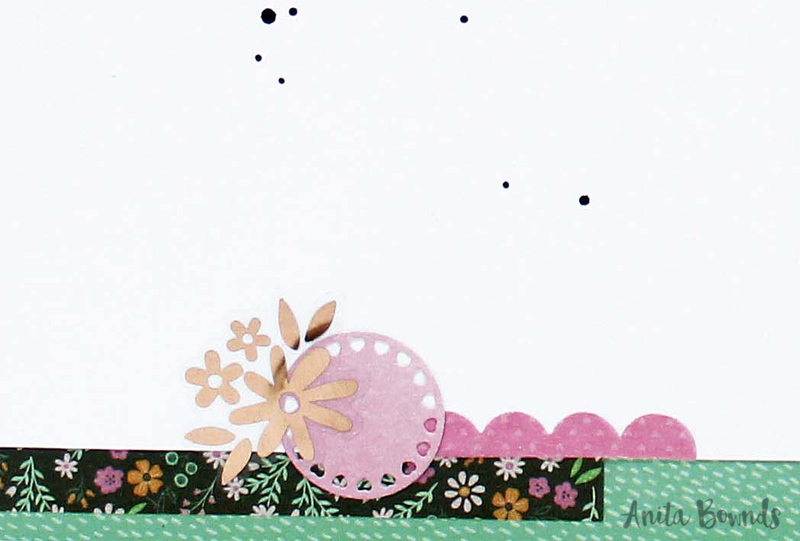 I enjoy making my own backgrounds and rarely does a page make it without at least some paint splatters! I hope you enjoy my designs for Shop and Crop Scrapbooking. Being a mum of two boys, aged 9 and 3 years, they are largely my inspiration for memory keeping. The creative process of 'getting messy' or producing a layout really is great therapy and time out for me! Scrapbooking for sure, though I am getting more in to stamping and the fantastic and varied techniques that can be applied using stamps and dies. I am lucky to have a room that hosts all my scrappy goodness, so I usually retreat and scrap in there. It's the happiest mail I receive! I love the imagination that comes when opening up a new kit....all the possibilities have me dreaming about it for days! The products are amazing and the value for money cant be beat!